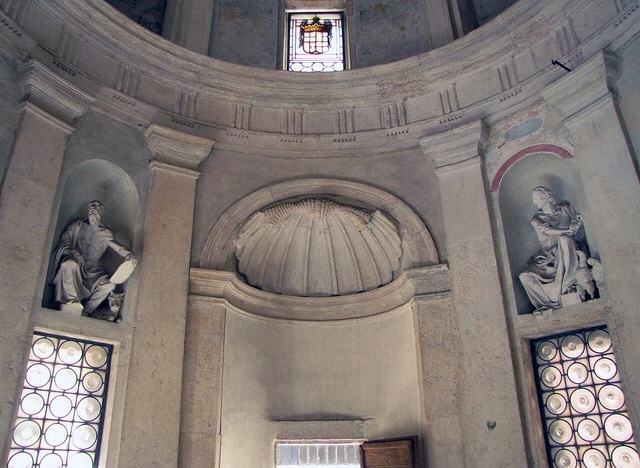 High up on the Gianicolo, on one of the spots where St Peter is believed to have been crucified (St Peter's is another), San Pietro in Montorio conceals one of Rome's greatest architectural jewels: the Tempietto, designed by Donato Bramante in 1508 for Cardinal Giuliano della Rovere. 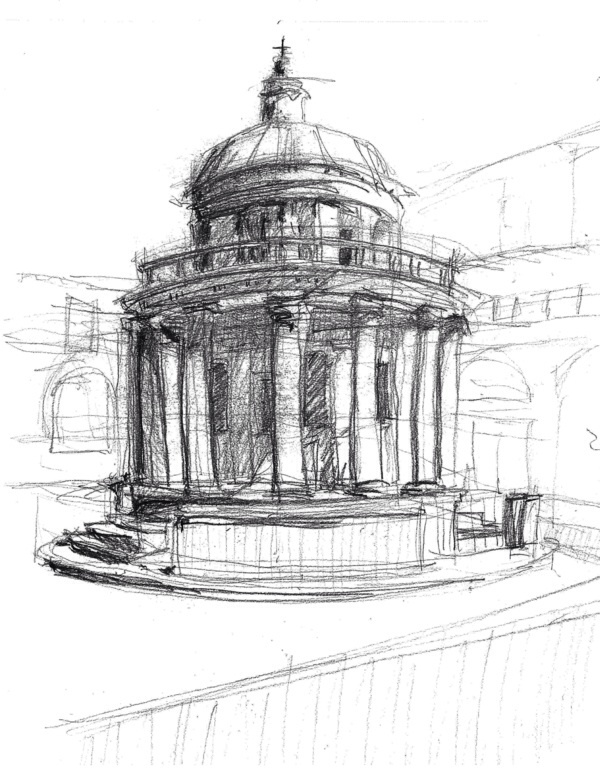 Considered the first great building of the High renaissance, I had been inspired with the little temple since I began studying architecture in my early twenties. During my first visit to Rome I made the pilgrimage to Montario to marvel at its beauty first hand. It is architectural perfection. 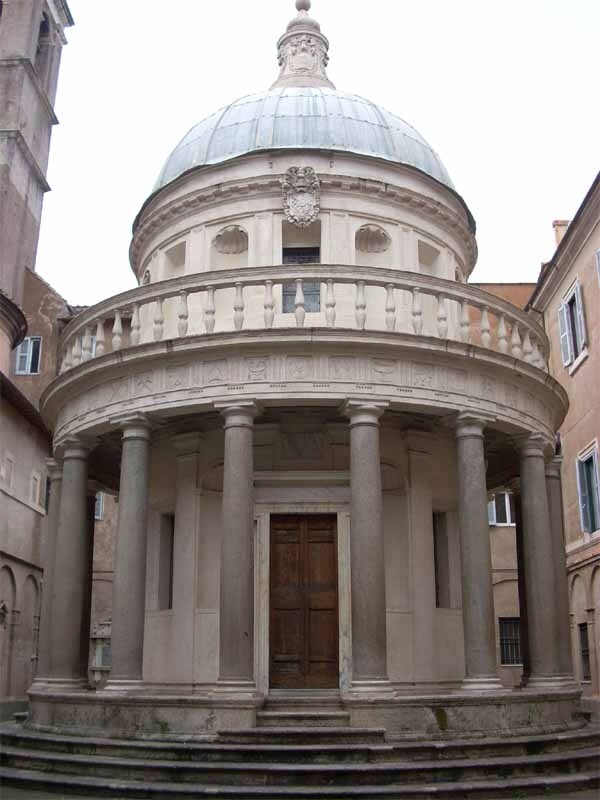 It has a circular interior surrounded by 16 columns and is topped by a classical frieze, an elegant balustrade and a proportionally perfect dome. The small circular structure, with its Doric columns, has classical symmetry that was subsequently imitated by many architects. The Tempettio remains one of my favourite architectural icons, along with the work of the great Andrea Palladio (who's Italian country villas are of similar architectural perfection). Its understated elegance continues to inspire me today.